Offers “crystal-clear” image quality and compression rates for a lower total cost of ownership. 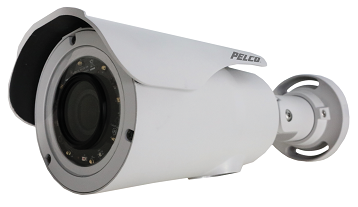 Pelco™ by Schneider Electric has released the GFC Professional 4K, a video camera delivering 8 MP resolution detail for demanding video security applications with heavy foot and vehicular traffic. The GFC Professional 4K is also designed to support challenging lighting conditions which are typical in city surveillance, airports, seaports, traffic, gaming facilities, corrections, commercial, and hospitality deployments. The GFC Professional 4K Camera delivers high definition, crystal clear video at 30 Frames Per Second (FPS) for industries whose operations demand 24/7 surveillance. With this level of clarity, customers can use one camera to cover a large area and digitally zoom-in for detailed information like license plate numbers and faces. By pairing 4K video resolution with H.265 video coding and Pelco’s Smart Compression technology, the GFC Professional 4K Camera minimizes network bandwidth and storage costs. “Pelco has successfully applied 4K technology to solve real security video challenges – providing more detail even in scenes with low light or overly bright areas, and doing this cost-effectively without unduly burdening storage costs,” said Sophie Wang, Sr. Global Product Line Manager. “Unlike other vendors’ 4K cameras, the robust Pelco Pro firmware feature set on the GFC Professional 4K maximizes image quality, light sensitivity, and much more,” she concluded. In comparative tests using the ISO standard for evaluating a camera’s true dynamic range (tone contrast within an image), and not a proprietary vendor test with undisclosed “forensic” conditions, the GFC Professional 4K consistently tested 5 to 9% higher than the competitor’s 4K camera. Additionally, the GFC Professional 4K delivers category-leading 0.2 lux light sensitivity performance at 30FPS in color mode. Up to 4K/8MP Resolution in 30FPS: Contains up to four times the resolution of 1080p, a single fixed camera can cover a wide area with highly accurate and clear details. H.265 video coding & Pelco Smart Compression: Decrease bandwidth and video recording costs. Wide Temperature Range: This camera operates in extreme temperature environments with a temperature range between –40° to 60°C (–40°F to 162.5°F), and up to 65°C (149°F) at four hours/day. 100dB True Wide Dynamic Range (WDR): Brings out the detail in both very bright and dark areas to maximize visibility and is useful in scenes where there are dark and bright areas in the image; lobby areas with streaming sunlight and nighttime traffic with headlights and taillights that obscure license plates. IR Illumination: The built-in IR Illuminator produces detailed images in zero light, and the adaptive IR Illuminator avoids overexposure that can hinder detection. Motorized Lens with P-Iris: In addition to remotely zoom and focus control, the P-Iris enables more precise control on the light reaching the sensor resulting in better image clarity and depth-of-field in all lighting conditions. IK10, IP66 rating & metal construction: Both indoor and outdoor cameras are rugged, vandal resistant, and waterproof. Three Independent, Configurable Streams: All three streams are configurable with video coding (H.265/H.264/MJEPG), resolution, and frame rate. This enables more flexibility in recording and viewing video. Audio and alarm functions: Operators can interface with other systems and the camera to promptly react to events and incidents. Real-time Audio enhances the security information captured by the camera. Dome versions will be available for purchase in late November, and Bullet versions will be available in December. A video featuring the GFC 4K Professional Camera can be viewed here. 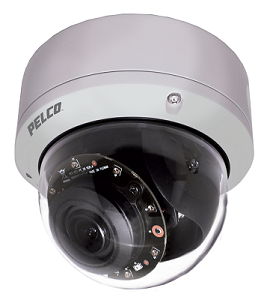 For more information about how Pelco is meeting today’s security and surveillance challenges, visit www.securityinsights.pelco.com or follow Pelco on Twitter (@PelcoVideo). Pelco™ by Schneider Electric is a global leader in professional video surveillance system products and technologies with a local presence in 136 countries and over 1,500 channel partners worldwide. Our personal engagement with customers, resellers and technology partners drives the development and deployment of surveillance and security solutions with meaningful innovation. It’s the foundation that Pelco has built its brand upon for over 25 years.